Posted by George Crozier in Environment, Local assembly, Streets. 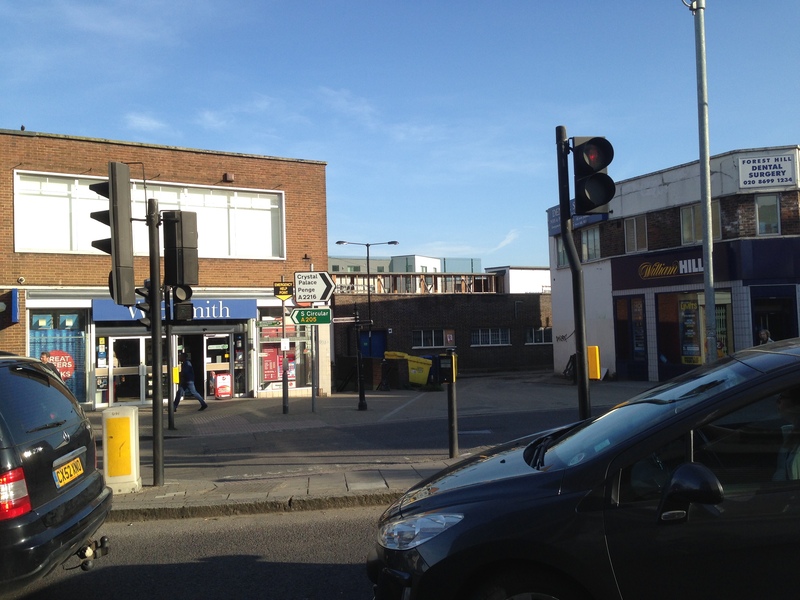 £600,000 of funding has been provided by Transport for London for the improvement of the ‘public realm environment’ on Dartmouth Road between Forest Hill station and the pools. The money is being provided under TfL’s Local Implementation Plan (LIP) process. This funding – £300,000 for each of 2015-16 and 2016-17 – will be used to design, consult on and begin carrying out a programme of work. However it is expected that more money will be needed to carry out the lion’s share of the improvements in future years. The origins of the TfL bid lie in a report commissioned by the Forest Hill Ward Assembly under the chairmanship of Lib Dem councillor John Russell back in 2010. The report on the state of the high street and street clutter was presented to the Lewisham Mayor and Cabinet by John, along with a request from the Assembly for action to address the poor state of Dartmouth Road and London Road, including an Area Action Plan for Forest Hill Town Centre and a Local Implementation Plan bid to TfL. John explained: “Five years ago we took our report to the Mayor and Cabinet to ask the council to back this application for funding so this is the result of our and the community’s work. “Forest Hill will really benefit from these funds that will support all the other initiatives already in place to continue to regenerate the town centre and improve the look and feel of the place. Real change has happened in the town centre since 2010. SEE3 ‘Portas Pilot’ funds, the Forest Hill Society and the local community have all helped to transform the high street. We’ll be keeping an eye on developments.